A Polo is a summer essential. If you saw my post about wearing a polo shirt with a suit then you know it can be dressed up but today I’m going casual. 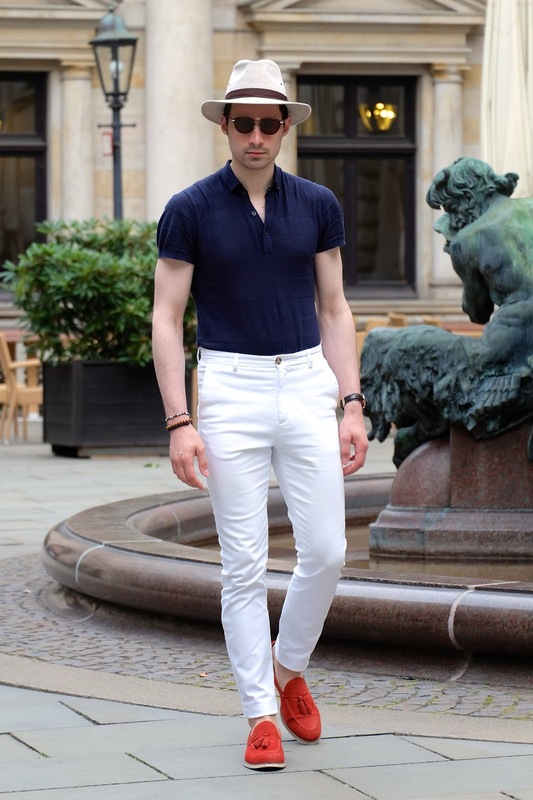 Blue jeans and a polo are what most guys wear but I prefer white denim because it's a little more rare and nothing looks better during the summer than the color white. 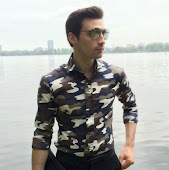 When it comes to a polo shirt I try to find something less sporty. 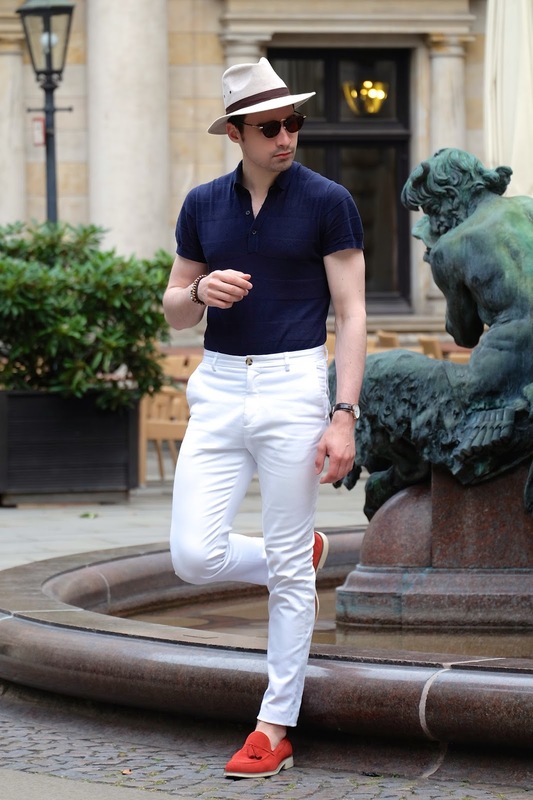 Polo shirts were made for playing tennis in but there are many less casual options out there in quality fabrics that look better for everyday wear. I chose a solid blue because I think sticking to solid colors is fool proof and extremely versatile. A few key accessories are what help make the outfit pop. Of course these bright red loafers are what catch your eyes first but a good linen hat and a nice watch also help pull everything together. It’s been pretty hot the last few days so I’ve ditched my daily suit uniform and have been opting for less structured looks. Hope you enjoy. What a great summer look! Also, it's quite refreshing to see you out of your usual suit.